OCC | REMNANT MINISTRIES THE "CUPBEARER"
Operation Christmas Child brings joy and hope to children in desperate situations worldwide through gift-filled shoe boxes and the Good News of God’s love. Shoeboxes are packed with gifts of small toys, school supplies, hygiene items, t-shirts and sunglasses, etc. Every box is delivered with love AND with a gospel message! For more information, please visit the Operation Christmas Child official website . The Amazing Journey Of A Simple Shoebox Begins With You! How Do You Pack A Shoebox and What Exactly Should Go In It? This year, Remnant Ministries and our volunteers will participate in Operation Christmas Child. Operation Christmas Child is the world’s largest Christmas project of its kind. Operation Christmas Child uses gift-filled shoeboxes as a visual and tangible representation of God’s grace and love for children in need throughout the world. Members of our church family are encouraged to bring toys, school supplies, personal hygiene items, accessories, crafts and/or money to donate as gifts of grace to fill as many shoeboxes as we can. Once all shoeboxes have been prepared at all giving locations across the United States, Samaritan’s Purse and its partners will deliver the gifts to children in more than 100 countries on six continents. More than 500,000 volunteers worldwide, with over 100,000 of those in the United States, are involved in collecting, shipping and distributing shoebox gifts. Operation Christmas Child is a unique and wonderful way to teach our young disciples what it means to be grateful and serve God by serving others! Each month from now until November 2018 we will be collecting different items to pack into our shoeboxes. The following items will be collected during the month of October. Be sure to check back each month for the new items of the month! 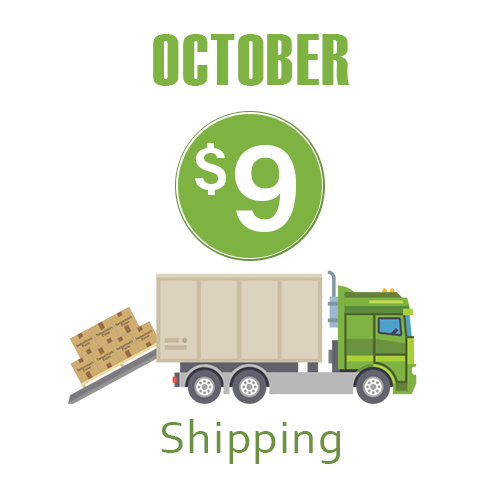 $9 to cover the cost of shipping each and every shoe box. A donation of $9 per shoe-box gift is critical for Operation Christmas Child. Ships, trucks, and airplanes will transport all of our shoe-boxes to the regions where they will be distributed. Ready to make your $9.00 donation online? Click Here. Be sure to select “Operation Christmas Child” under fund when making your online donation. You may also give your suggested contribution by cash, CC, or check at Remnant Ministries during any one of our weekly services. Be certain to write “Operation Christmas Child” on both your check and/or tithe envelope. Thank you in advance for your generous donation! What Does My Donation Mean? Hey Buddy!, I found this information for you: "OCC". Here is the website link: https://remnantministries.net/occ/. Thank you.